Sometimes when I want to bake, I don’t want to have to plan a recipe. I don’t want to go out and compile all of the ingredients. Sometimes I want to be able to look around the kitchen and see if there’s anything that can be made from what I already have. Mushy bananas are good for a few things: banana bread, banana muffins, oats and pancakes. But, they can also be a good base for other baked goods like brownies – you just need to remember what it is that you’re making. What I love about brownies is how fudgey they are. I don’t like cakey brownies. I like fudgey, dense brownies. When I make brownies from scratch I add chocolate melted from a double boiler and cocoa powder. 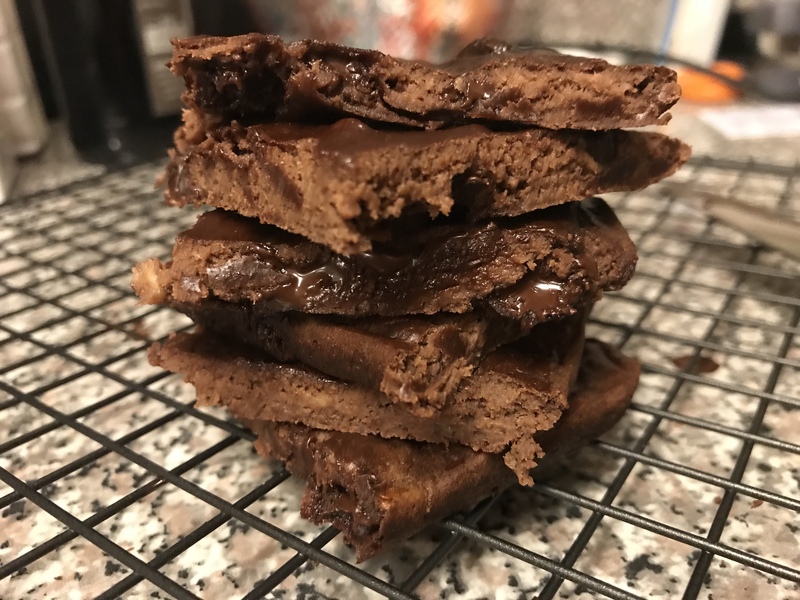 Thinking about an alternative brownie, I wanted to have some things similar like the fudgey texture and the obvious – chocolatey taste. I intentionally left out a rising agent because I really didn’t want to have to take time to figure out the right ratio so that it would rise instead of become hard or stay flat. So if you’re wanting something kind of fudgey, but not fluffy, this may something for you to try. This was a solid first go, but I’m definitely interested to see what happens as this recipe evolves. 1.Pre-heat oven to 350 degrees. 2. 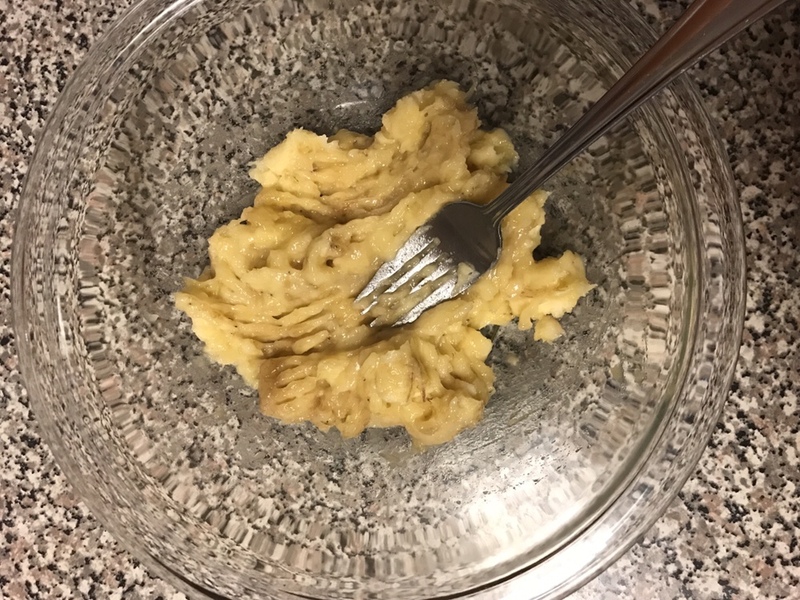 Peel and mash bananas in a medium sized mixing bowl. 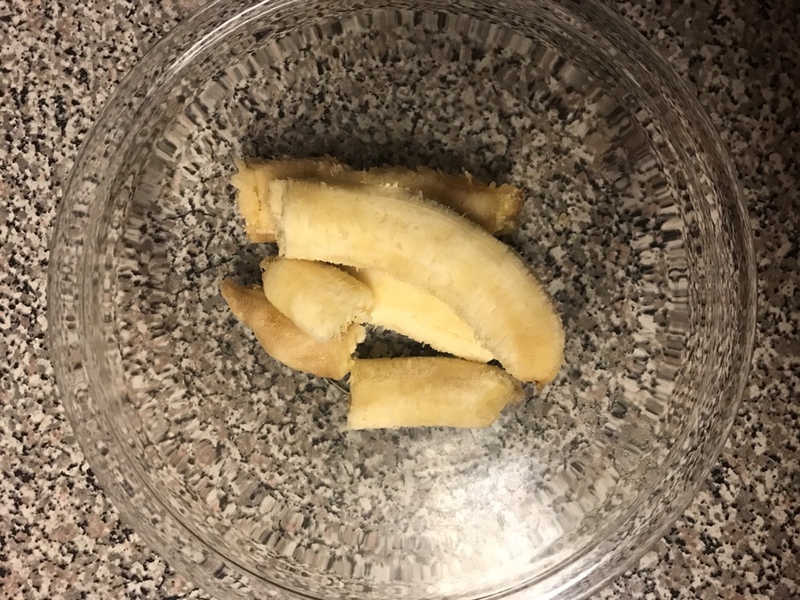 Three small bananas should do, if you have two medium bananas that’s also fine. If they’re a bit larger you may need to add slightly more cocoa powder later. 3. 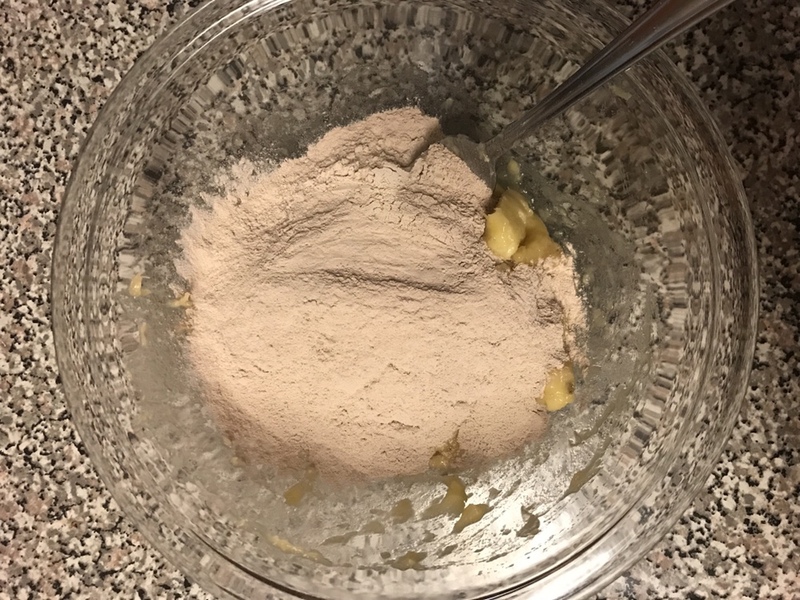 Add protein powder to mashed banana mixture. 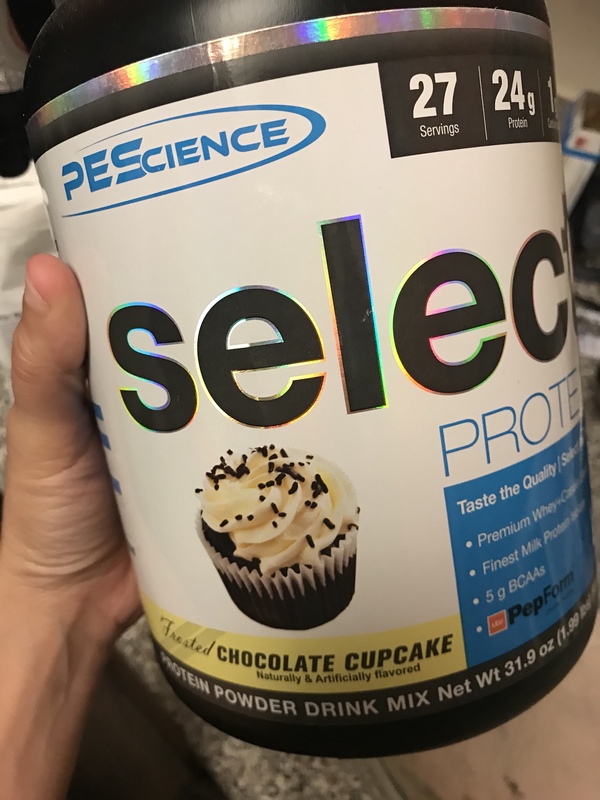 I used PEScience Chocolate Cupcake because it’s what we had in the house, it’s also my chocolate protein of choice because it’s very chocolate-y. 4.If you find that the mixing the protein into the mashed bananas is difficult, add 1 tablespoon of milk or milk alternative. I used almond milk and it was plenty. 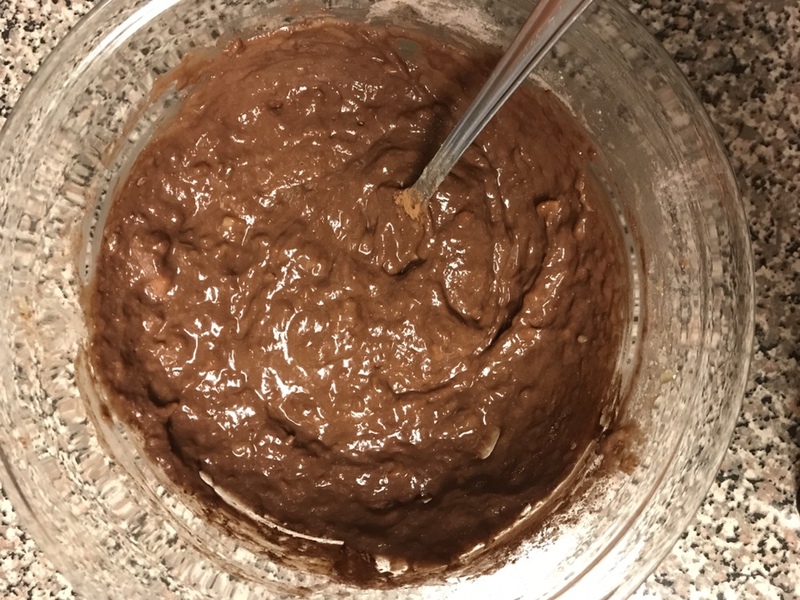 5.Once you’ve mixed the protein powder and banana, add cocoa. 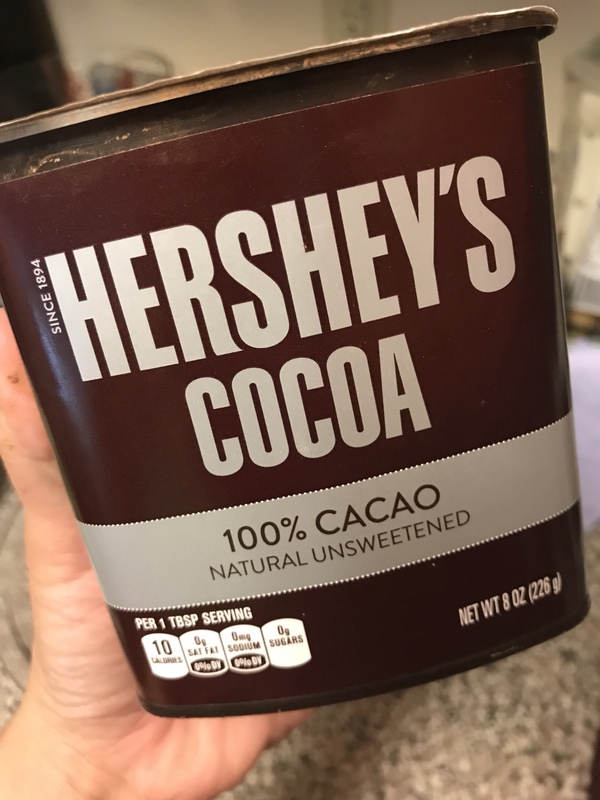 I use Hershey’s, but you can probably use any baking cocoa powder of choice. 6. 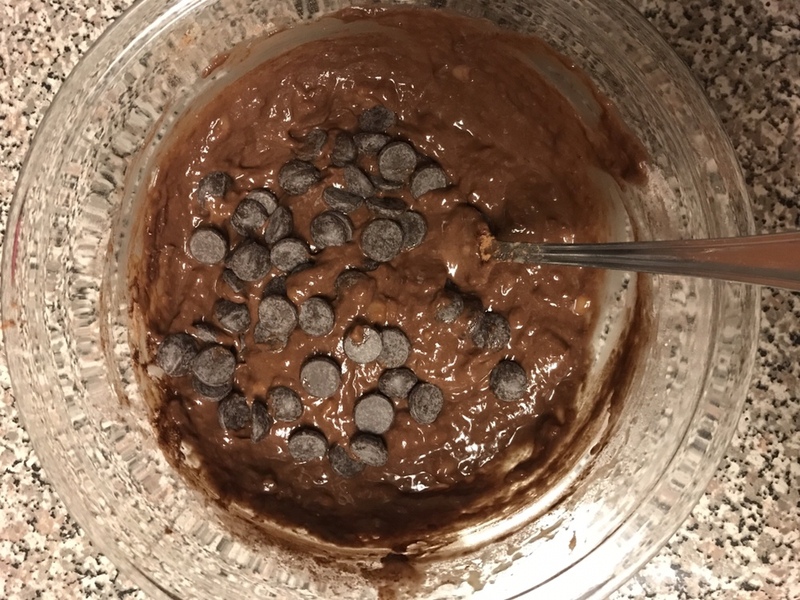 (optional) Mix in chocolate chips. 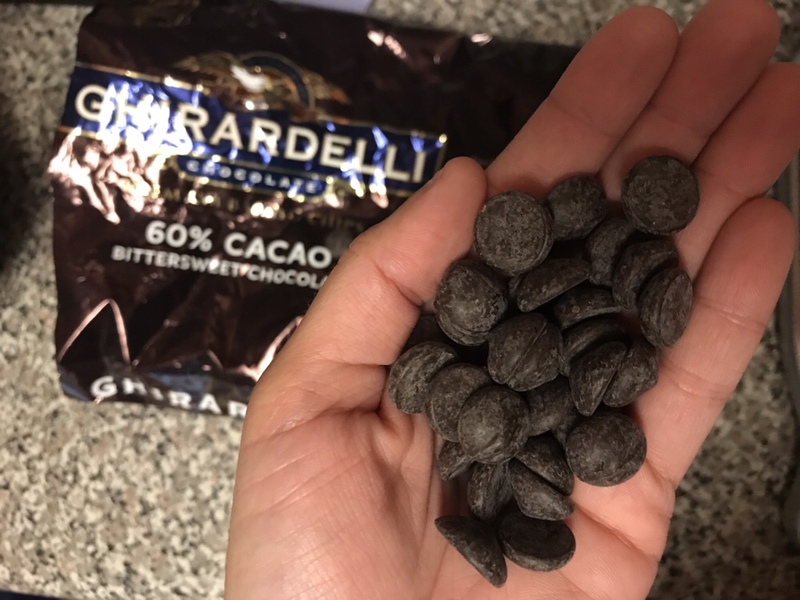 I used Ghiradelli 60% cacao. They’re a bit larger chips that I usually use in baking unless melting, but these were a good choice. Again, like the cocoa, you can use any chocolate chip you want to. 7. I won’t lie, this is where having a smaller baking pan would’ve done me some good. I have small loaf pans, but I didn’t want a thick loaf because of what that could do to baking time. Spraying a standard brownie pan, I spread the batter as evenly as possible. If you use a smaller pan, the baking time will be slightly longer so it cooks thoroughly. Bake for 20 minutes. I set a timer for 15 minutes and after checking on them kept them in for another 5 minutes. 8.Using a spatula, remove the from baking pan and let cool on a rack. 9.After cooling, cut into pieces. 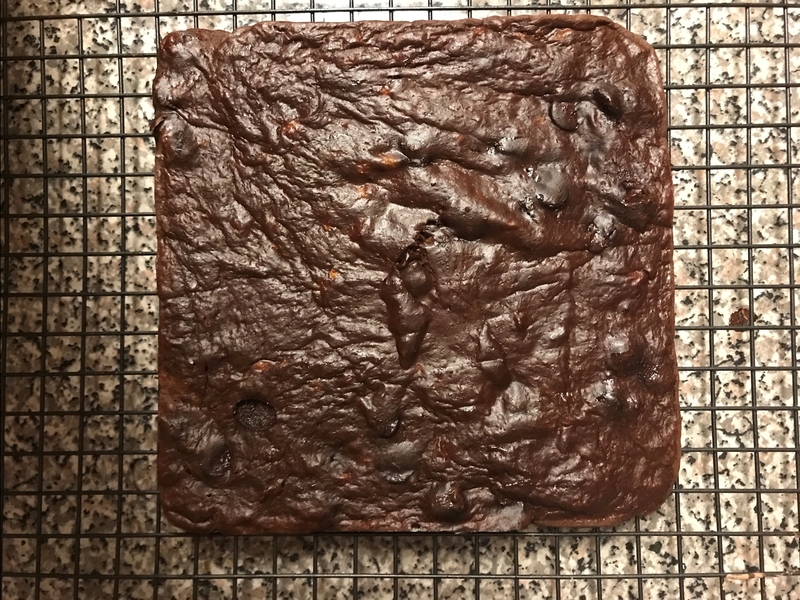 I cut the brownie sheet into 9 mostly equally pieces. Tasting and texture notes: Definitely fudgey, even though they weren’t thick pieces. The overall texture is a little chewy, which I don’t mind. Minimal banana flavor since there’s A LOT of cocoa. 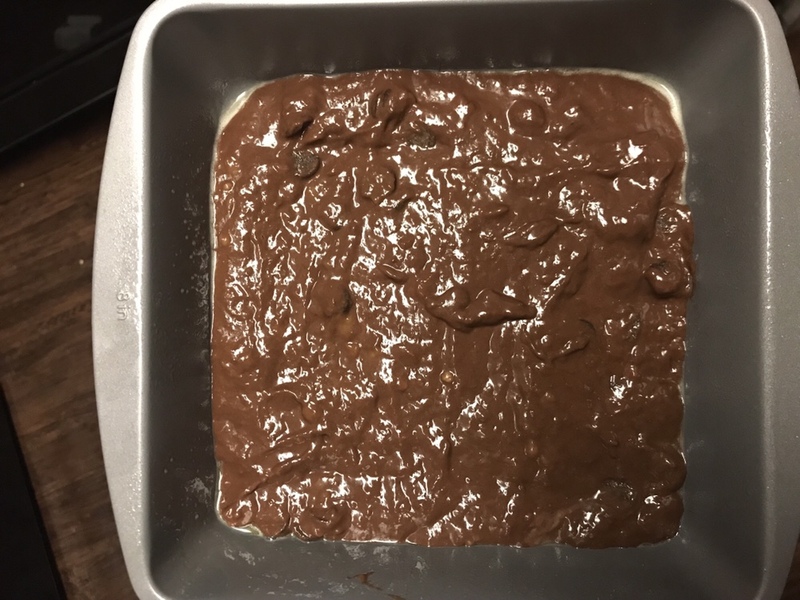 I think this is a good base for an alternative brownie recipe. I didn’t want to play with rising agents and maybe alternative flours. I have almond flour that I’ve been trying to figure out what else I want to do with it other than cookies – which is my favorite thing to do with it.